Strawberry is a perennial herb with a delicious and juicy berries. But sometimes gardener, planted the bushes of strawberries and providing good care, rejoices in the rich harvest the first two or three years, then fertility is markedly reduced. This is due to the aging of the bushes and their root systems, it is therefore necessary to cut the strawberries each year. Every year the fine roots and the lower part of the rhizome of a Bush of strawberries die, and new ones are able to grow exclusively from the younger part of the stem, located at the apex of the kidneys. Every year there is a partial loss of roots, up to the complete withering away of the green of the Bush. Therefore, the rejuvenation of the strawberry is of particular importance. The procedure consists in pruning the aerial part of the shrub, causing begin to awaken dormant buds on the rhizomes and the roots that in the future, and form young plants. Young strawberry bushes and give a good harvest. 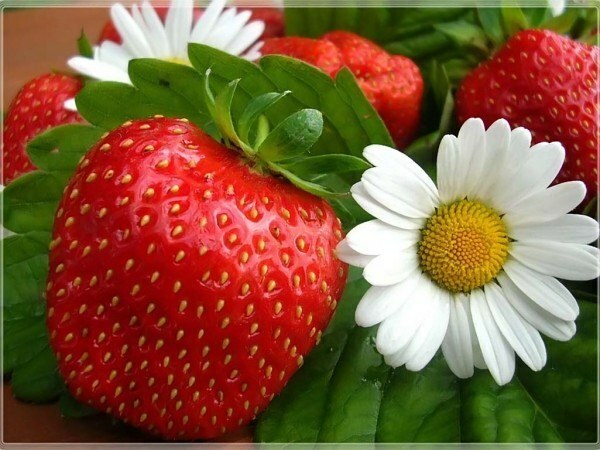 To rejuvenate bushes it is recommended to start early in the spring before flowering or immediately after the was harvested the entire crop of the fruit of the strawberry, which is about the twentieth of July. If you failed to cut the strawberries in these terms, you can do it until mid-August at the latest. But it is worth remembering that late pruning may result in a negative differentiation of the kidney. The aboveground part of the bushes of strawberries, you can remove using a normal braid, then pobrania landing at an angle of forty-five degrees. This way you will vzryhlite the soil and provide oxygen to the root system, and remove unproductive bushes. To direct all growth energy to the awakening of dormant buds, remove with scissors or secateurs absolutely everything mustache, who managed to put the socket and take root. It is not recommended to cut the stems too short, leave the stems at a height of ten centimeters from the ground. After the rejuvenation of the Bush, and trimming the mustache is completely finished, treat the soil with a means of protection from pests and diseases, then fill with ash. Watering plants until complete fouling of the Bush with new leaves, sprinkle beds with a pincushion. These simple actions will help strawberry to survive the winter without loss and give a big crop next year.